The Super Dispatch Dashboard not only allows you to assign orders to your company Drivers, but also to add and remove them from your company driver list (as well as monthly subscription) as needed. Type a valid email that the Driver has access to. This needs to be a real email that the Driver can access when he needs to. Type the phone number for the phone that your driver will use to access Super Dispatch. Now, on your dashboard you will see "Activation Pending." This means that a notification email and text has been sent to the Driver's email and phone number. Click the links in either the text or email he receives that instruct him to "access your loads:"
Create or "set" a password. Then he will be prompted to open the Super Dispatch app. He will press "get" or "download." Once the app is downloaded, he will press "open." 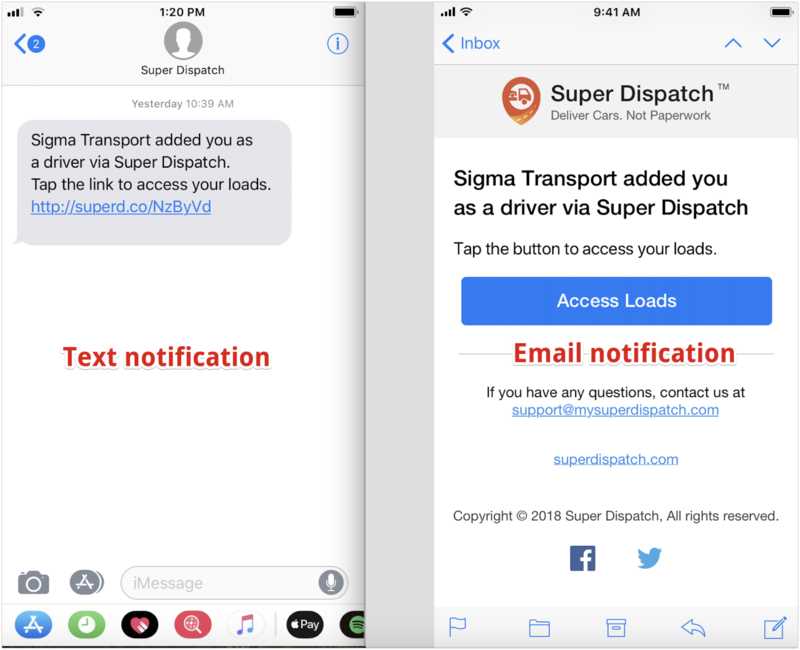 Now your Driver's phone app is linked to your Super Dispatch account and you will be able to dispatch loads to him. 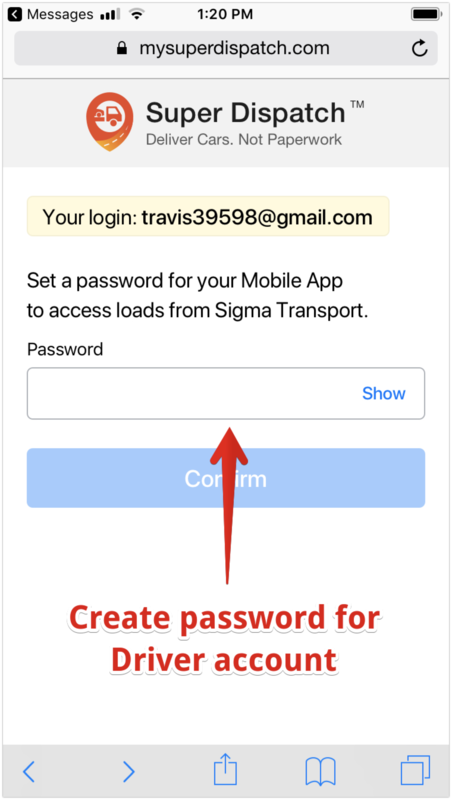 IMPORTANT: You will be creating the Login email and Password for your Driver's Mobile App - so be sure to save this information elsewhere. 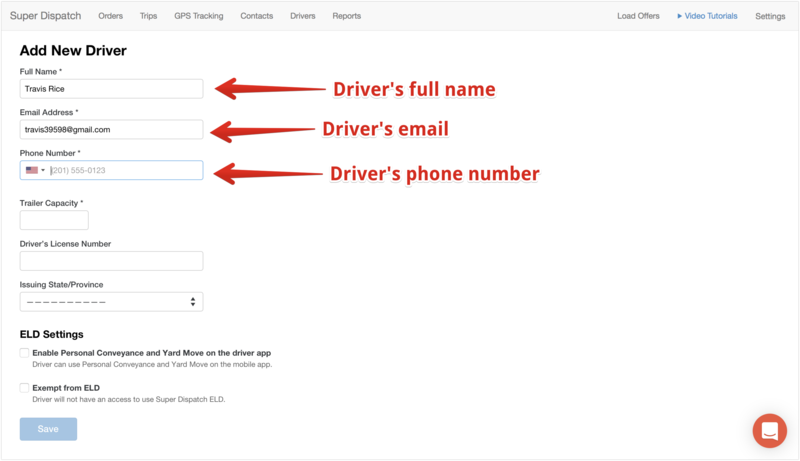 Your Driver will need to use these Login credentials to access the Mobile App. Be sure to complete all necessary fields. Remember: Make sure you write down your drivers Login email and Password. 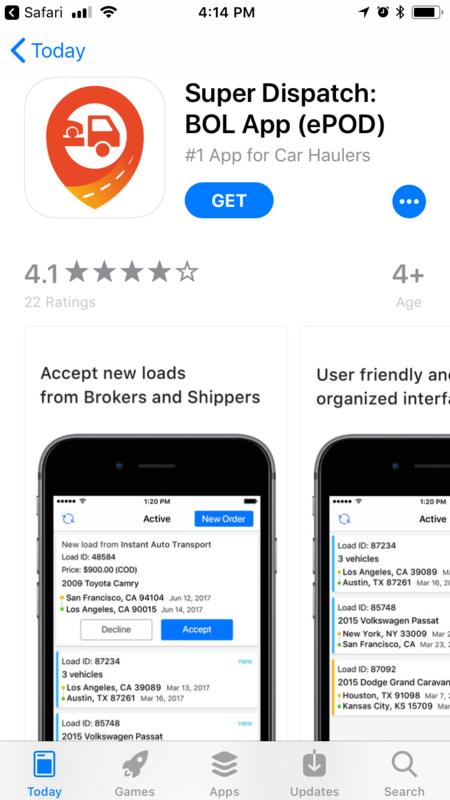 Once you have added a new Driver, please have your Driver download Super Dispatch App and Login using the credentials you had created. Drivers can also be sorted by alphabetical order. There is also a search box allowing you to search for a driver in your database even with limited information. Note: It is important that every driver email address used is a valid email address in the event that 'Forgot Password' is needed. An invalid email will never receive an email generated by the 'Forgot Password' action.